Budapest is definitely the most unlikely city I have visited so far. By unlikely, I mean it was never on my “top ten” list of places to go and it seems not to be on the list of many people as my sister’s exclamation of “what are you doing in Budapest? ?”when I sent pictures to my siblings whatsapp group, shows. In short, Budapest was not planned. My friend and I had some other destination we wanted to visit, but the cost of accommodation and flights put us off. 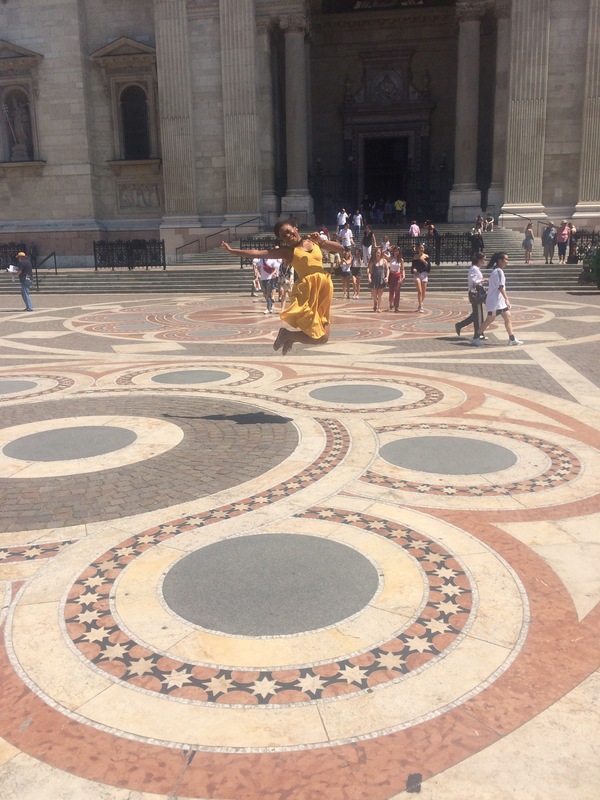 Just when we were about to pause on travelling at all, Budapest happened. 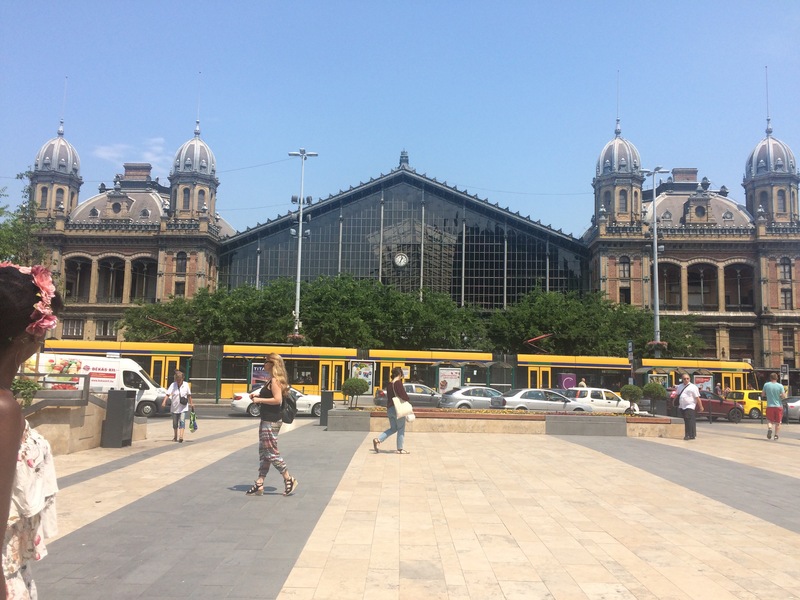 We were in Budapest in the middle of June – the heat was debilitating. However, thanks to the many baths and spas that Budapest is famous for – cooling off was never far away. 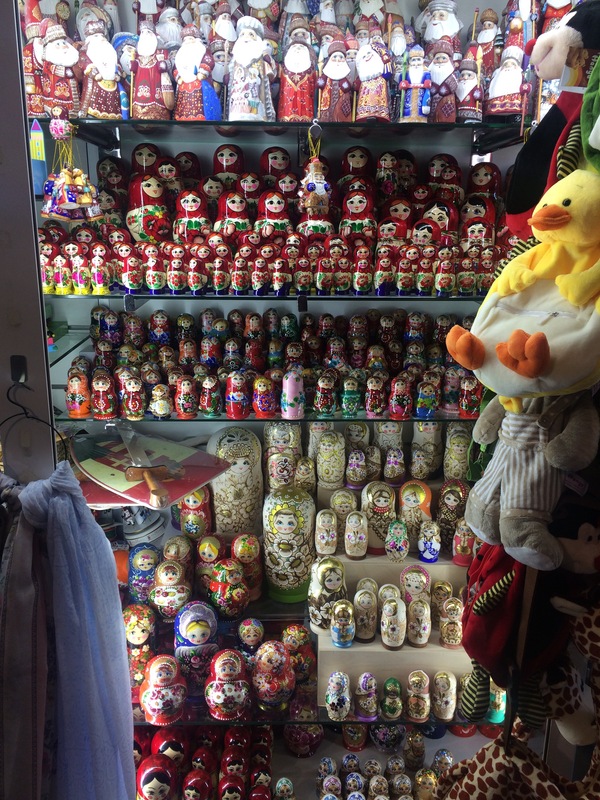 The first thing that struck me about Budapest was how manageable the crowd was. For a capital city, it didn’t feel as overwhelming as London but still managed to feel exciting. The people were also very polite, from strangers on the road to hotel staff. 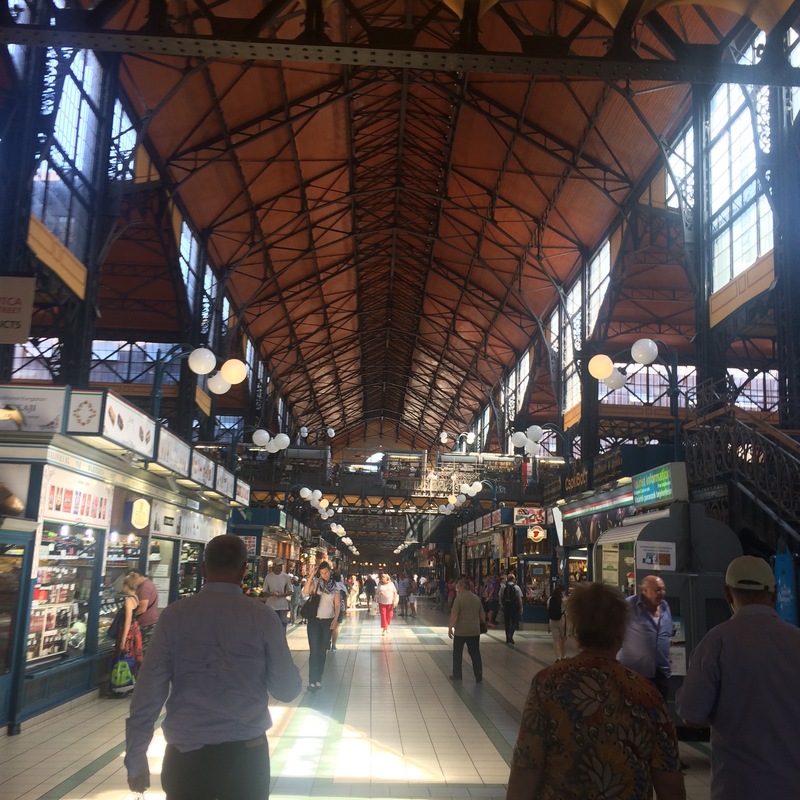 Budapest isn’t the cheapest city I have been to but it is definitely not expensive either. It took me a while to get used to the conversion rate, for some reason, and truly understand the value of things but I can say it was a moderately affordable city. For me, Bogota, is the cheapest city I’ve been to where I would go on a 45mins Uber ride and pay less than £10! 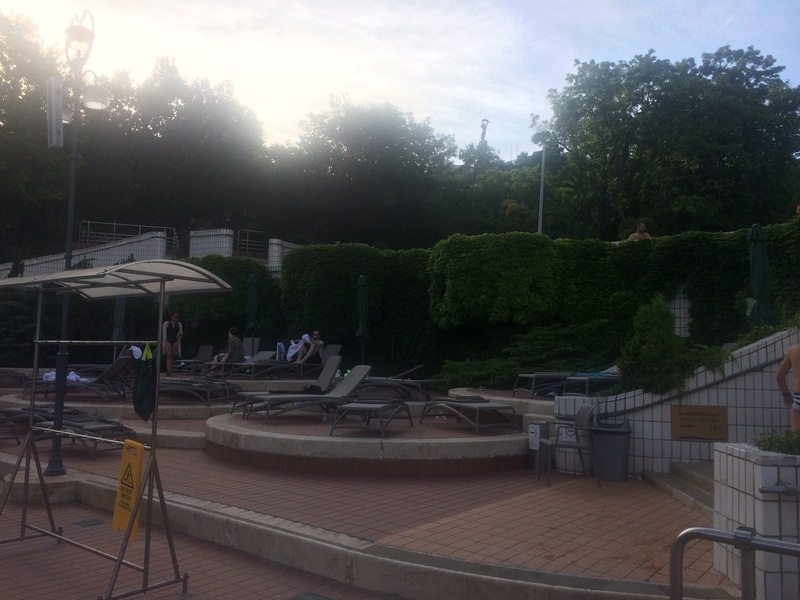 We had the opportunity to visit 2 thermal baths whilst in Budapest – Gellerts and Szechenyi. Gellerts bath is elegant whilst Szechenyi is hip. Szechenyi was full of young people in their early twenties whilst Gellerts was more family friendly. Szechenyi was bigger and had glum, wet changing stalls that seemed to go on forever, my friend likened it them to prison cells and I don’t disagree, Gellerts, on the other hand is smaller and it’s changing stalls bore little similarities to a penitentiary. I won’t suggest one over the other as they were both fun and relaxing just with different vibes. Szechenyi’ yellow buldings is especially picturesque. 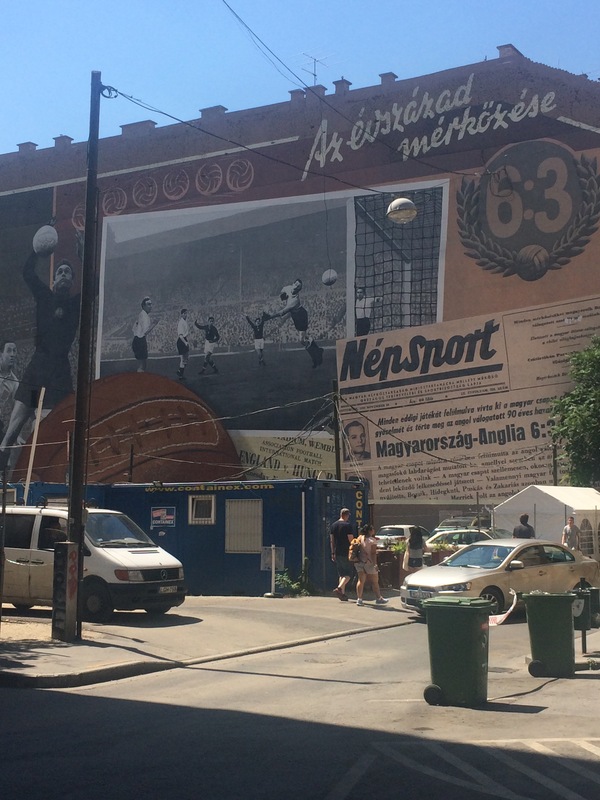 Budapest’s Jewish district is the soul of the city and you immediately feel a shift in vibe when you get there. 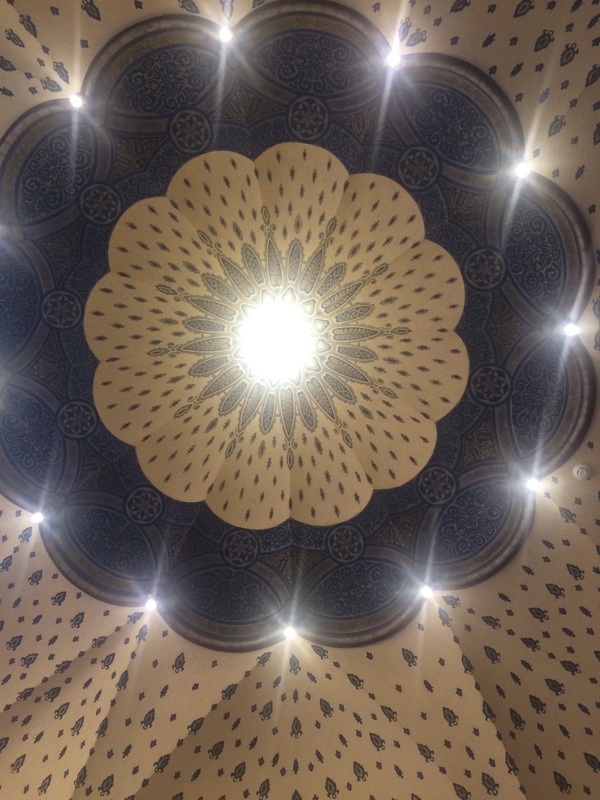 The second biggest synagogue in the world, and the largest in Europe, is located here and so are several boutique restaurants and street art. Where the street art is, is usually where the most passion in a city lies – at least this is what I believe. In relation to cuisine, I will say as a legit foodie, who has eaten food from different cultures, that the Hungarian delicacies did not disappoint. My favourite was this pancake stuffed with chicken soaked in a paprika stew. 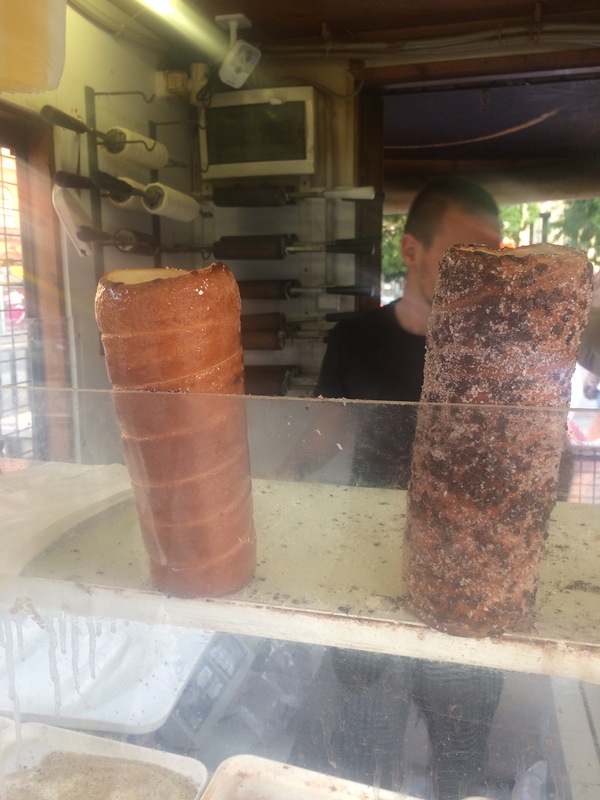 Typical of how I relate to international foods, I do not remember the name but I hope the description is crisp enough to help you find it if you ever go to Hungary. 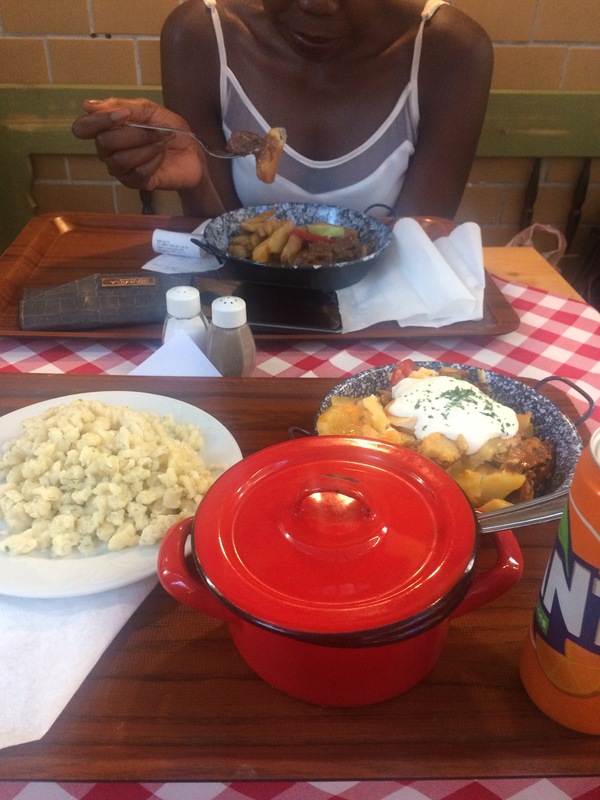 Goulash was also a staple in most restaurants we went to and is definitely something to eat in Hungary. Bobyglar – this restaurant fell into our laps as we wondered away from Hosok Tere, a square with statues of important figures in Hungary’s history. It’s similar in structure, and its location centrally at a big crossroads, to Trafalgar Square in London. Of course, it was nowhere near as chaotic as Trafalgar Square but it was still beautiful and full of history. Anyways, we wandered away from this monument and staggered hungrily into the hobbit-home-looking building to find a nicely furnished restaurant which had an outside seating area that we immediately settled into. The staff were top-notch and I will give not just the delicious food 5 stars, but also the service we received. Cafe New York – Tagged the most beautiful cafe in the world, this is an absolute must-visit. I have never been to a restaurant that opulent and extravagant, let alone a cafe that exquisite. You might actually be intimidated by the setting and assume your pocket won’t survive the visit. 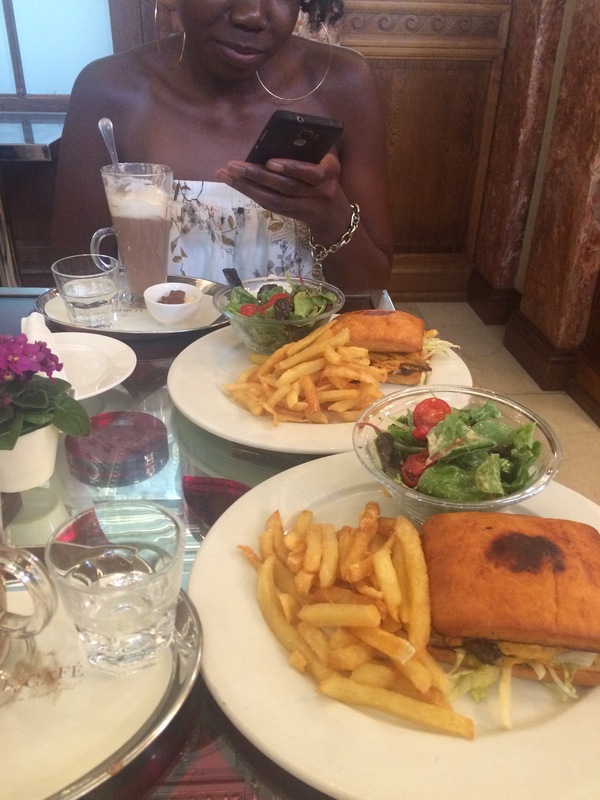 For a place as beautiful as a palace, the Cafe is unbelievably affordable. It’s also a great place for taking unrivalled photos. Mazel Tov – Tucked in the Jewish district is this Israeli restaurant which has sections outdoors whilst their indoor area is covered with clear canopies. It is teeming with greenery so that even when you are inside, you feel like you are outside. 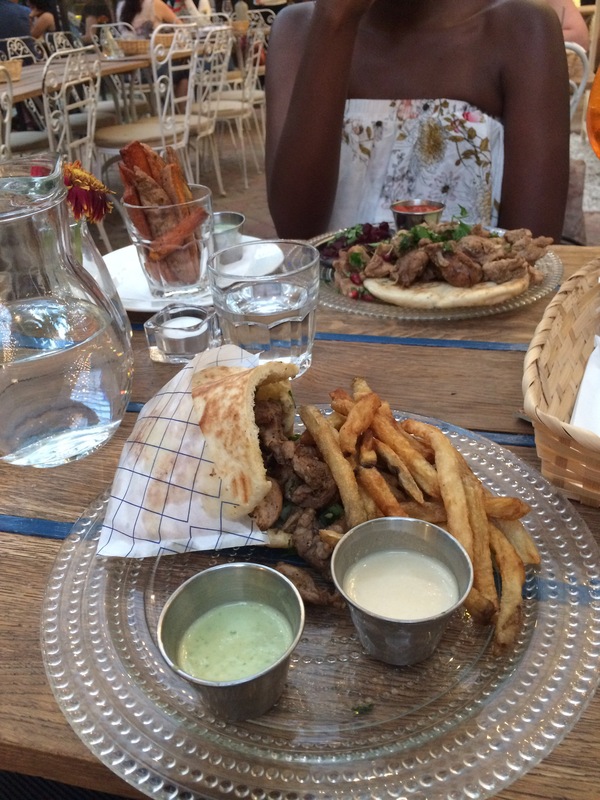 The food was was delightful – I had a sharwama that tasted authentic, fresh and delicious. To make the already charming atmosphere more special, there was live music by this guy with a guitar who sang heart-wrenching love songs all night. Budapest is a truly beautiful city! 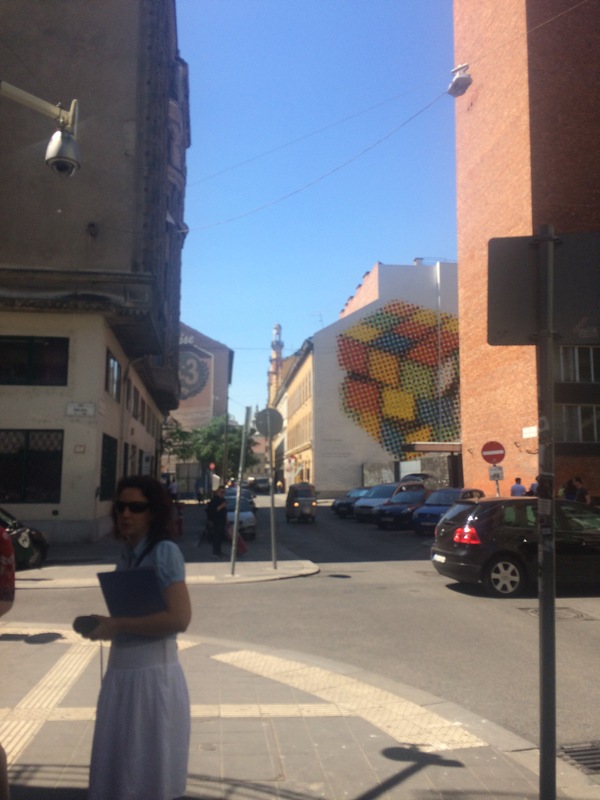 The wide streets, yellow trams, Jewish district and Moorish architecture made Budapest feel idyllic and like a cross breed between Portugal, San Francisco and Tel Aviv (none of which I’ve been to, but Pinterest pictures tell you a lot). 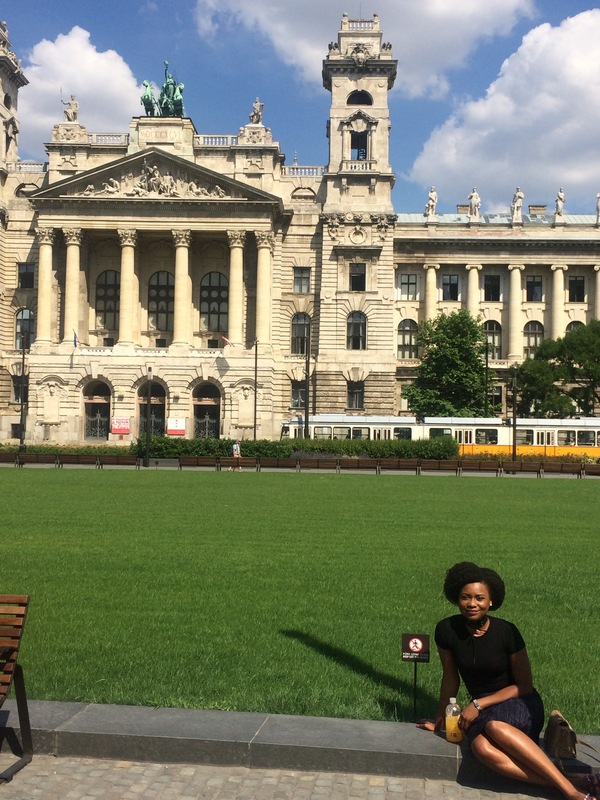 Budapest is not very diverse, in the sense that non-White people are a rarity, so my friend and I were stared at quite a bit, but we have become used to this as we often find ourselves in situations where we stand out. 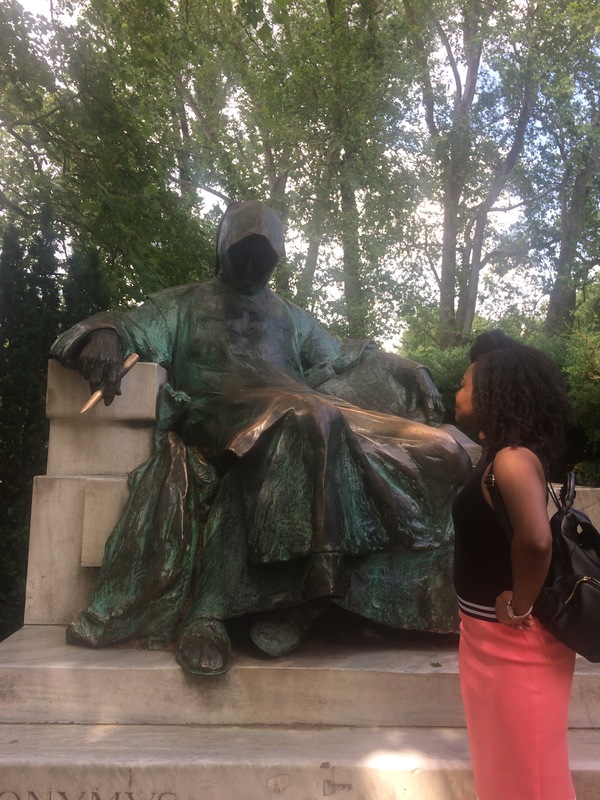 If you’ve travelled through most countries in Europe as a Black person, you won’t find the stares in Budapest shocking. In fact, the stares were milder than I have experienced in other countries such as in areas of Greece or the South of Italy were I almost stopped traffic. 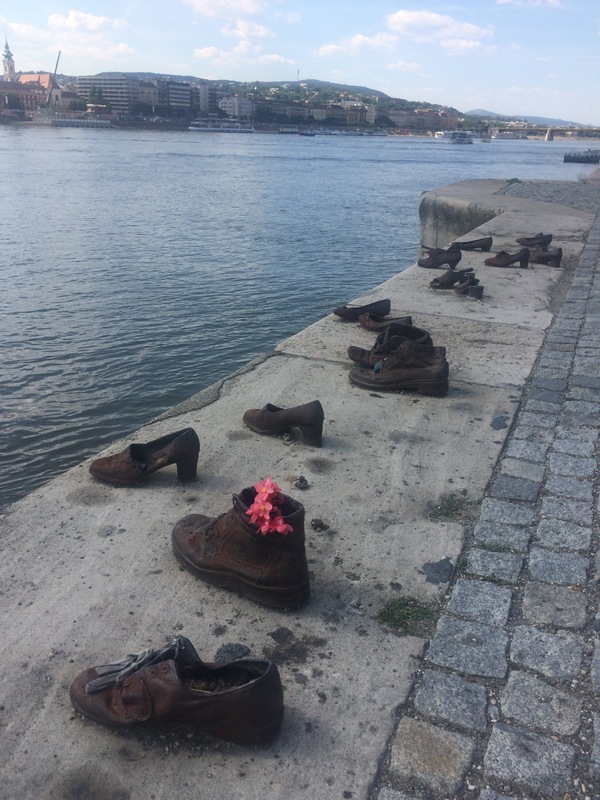 Budapest was an unexpected trip that has now become an unforgettable experience.